KORG’s flagship Pa4X Professional Arranger continues a tradition with incredible refinements to every aspect of the sound quality—and with enhanced performance capabilities. 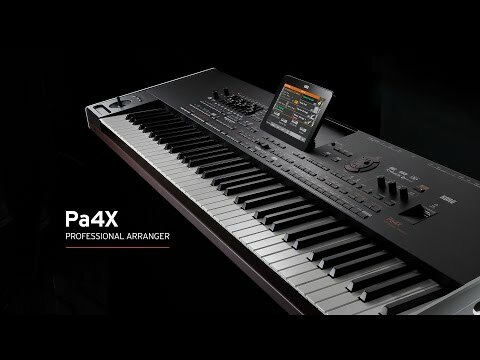 The Pa4X Professional Arranger is more than a keyboard. It’s your backup band; your accompanist; and your musical director. It’s your soundman; your effects engineer; and your always in-tune background singers. Best of all—you’re always in charge! 61 Semi–weighted keys with velocity sensitivity and aftertouch. The Pa4X relies on KORG’s advanced EDS-X (Enhanced Definition Synthesis-eXpanded) sound engine, and comes complete with over 1,800 ready-to-play sounds. This realistic collection offers a vast gathering of classic and contemporary keyboards, band and orchestral instruments, plus electronic and acoustic instruments—from techno to folk. Included is a new multi-layer stereo grand piano (with damper and body resonance), plus electric pianos from the acclaimed KORG SV-1 Stage Piano. The digital drawbar organ includes key on/off noises, leakage, and Rotary Speaker emulation. In addition, the Pa4X has been equipped with new wind instruments, strings, basses—even acoustic and electric guitars. Sounds have been painstakingly captured using state-of-the-art methods that allow the finest of details to be accurately reproduced. Three assignable switches, the four-way joystick—even a ribbon strip—allow KORG’s unique DNC (Defined Nuance Control) to reproduce the subtle nuances and articulations of acoustic instruments creating ultra-realistic performances rich in expression—all in real time and on demand. Bring any solo or melody to life with the growl of a passionately-played saxophone; the changing embouchure of a trumpet; the breath elements found in a clarinet or harmonica; and the added characteristics that give extra authenticity to the pizzicato and arco sounds of a string section. More than 90* authentic drumkits—including Ambient Drums—breathe life into any rhythmic passage; the Drum Family Easy Editing feature offers total control over volume, pitch, EQ, and more. An additional 400 MB* of user memory allows new sounds to be added quickly and easily using KORG, WAV, AIFF, and SoundFont™ formats. Conduct your own sampling session and take advantage of the complete sample recording and editing features found in the Pa4X. Pa4Xfeature a naturally-responsive and semi-weighted keybed that provides both velocity and aftertouch sensitivity. The dynamic response is adjustable to accommodate any playing technique and any level of musicianship—from the hobbyist to the demanding professional. Each Style is a fully realized musical environment dedicated to reproducing a specific musical genre, and the Pa4X is packed with over 500 of them. 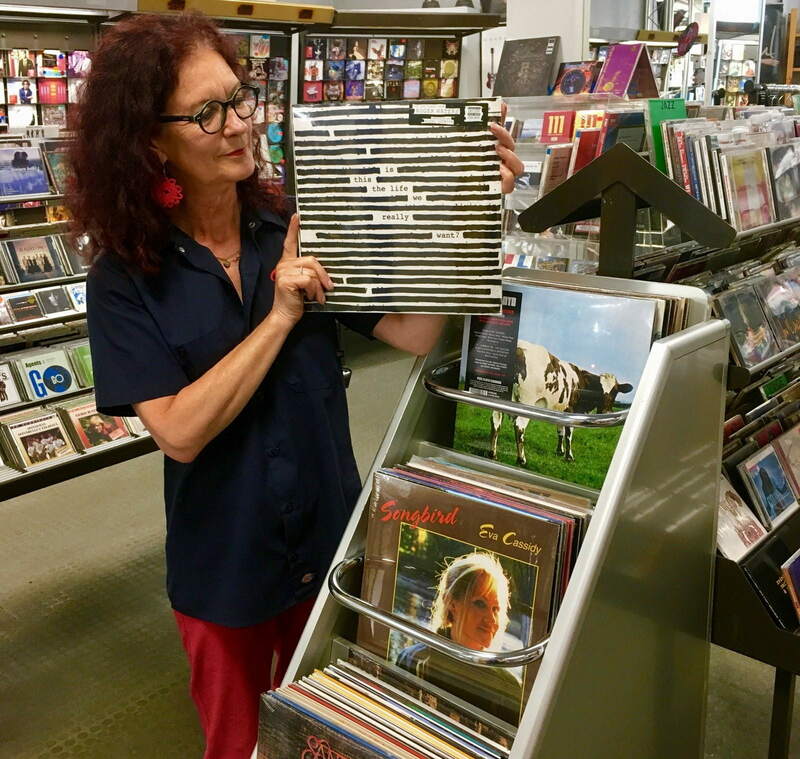 Play along with these styles which cover song styles from around the world, from the past right up to today. These highly-versatile Styles have been created by KORG’s international sound team to provide an extremely musical experience. New Styles have been added, and many cherished Styles have been brought up to date with new sounds, enhanced effects, and re-balanced mixing. In addition to drums, percussion, and bass, each Style can provide up to five additional instrument parts that follow your chord changes and voicings, as well as the tempo. 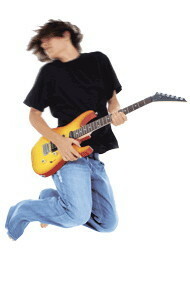 Guitar Mode 2 makes the Style’s guitar tracks more authentic than ever before possible. In addition, each Style can be enhanced by using the four Pads. Each Pad can add a one-time or repeating riff, a percussion part, an accent sound, or even a sound effect. You can even program your own Pad riffs and phrases. And of course, each Style features an assortment of Intros, Variations, Breaks, Fill-Ins, Endings—even a count-in. You may also create your own brand-new Styles, or customize the existing ones. The convenient Chord Sequencer function can quickly record and loop your chord progressions on the fly in Style Play mode; this can be useful not only for practice, but for freeing up your left hand while performing live. These Chord Sequences can now be also saved as Style and SongBook entries for easy recall. The Pa4X 61 comes with an option to install an internal hard drive to insure that all your data is available at the gig and ready to play. A convenient micro SD slot (with protective plastic cover) is located on the back panel to add further space for data storage and/or to be used as data protection for localized data sets sold separately by third-parties. Two USB Host ports—one on the front panel, one on the rear—make it simple to play Styles, MIDI files, and MP3 songs directly from a USB flash drive, or to perform any future system updates. Line 1: Left/Right Jack (1/4") Line Input, balanced. Audio Output: Left/Right, Out 1, Out 2; (1/4" TRS) balanced. Display fully lowered: 980 x 364.4 x 125.56 mm / 35.58" x 14.35" x 4.94"
Display fully raised: 980 x 364.4 x 207.43 mm / 35.58" x 14.35" x 8.17"